Welch is a citizen scientist. Around the world, hundreds of citizen scientists like him are collecting precipitation measurements from the ground that are useful for NASA's Global Precipitation Measurement (GPM) mission. GPM is an international satellite mission led by NASA and the Japan Aerospace Exploration Agency that provides rain and snow observations from space around the globe every three hours. GPM's data will improve our understanding of water and energy cycles and extreme weather events, such as hurricanes, monsoons and droughts. To produce high-quality precipitation data though, scientists need ground measurements to help validate the satellite observations. GPM scientists are teaming up with the publicfrom schoolchildren to retirees to science fanaticsthrough citizen science projects. For over three months, Welch has been participating in a citizen science project called the Community Collaborative Rain, Hail and Snow (CoCoRaHS) Network that provides valuable ground data on rain and snow. CoCoRaHS is a non-profit, community-based network that strives to measure and map precipitation in all fifty states and parts of Canada. This winter, GPM teamed up with CoCoRaHS. Participants measure the number of inches of precipitation collected during a 24-hour period in cylindrical rain gauges near their houses and submit the data to the online database. Any interested partyincluding GPM scientists can access the database for their own applications to see how much precipitation was collected in a region. "CoCoRaHS observers are eyes on the ground," said Tiffany Moisan, research scientist at NASA's Wallops Flight Facility in Wallops Island, Virginia. "This project is a simple way to help NASA scientists validate precipitation estimates made using ground and space-based radar instruments and get more data points." For instance, the network can help scientists discern the type of precipitation that is falling, whether it is wet snow, light rainfall or a mixture of the two. In their reports, network participants note whether it snows or rains. Scientists can cross reference the volunteer-supplied reports with satellite data and in the process improve the computer programs used to interpret the data and assign precipitation types. Moisan started a three-month GPM CoCoRaHS campaign in January 2015 on the Delmarva Peninsula in the Delaware, Virginia and Maryland area. Over 100 people, from retirees to school-aged children, in the Delmarva region participated. "The broad coverage of the CoCoRaHS dataset nationwide will be helpful for validating satellite data on large precipitation events such as snowstorms or hurricanes," said Walt Petersen, GPM Deputy Project Scientist for Ground Validation. The GPM Ground Validation team hopes to make more frequent use of the CoCoRaHS measurements to compare daily-accumulated rainfall or the occurrence of snowfall to the estimates produced from GPM satellite data. NASA's GPM Ground Validation program provides ground and airborne precipitation datasets supporting physical validation of satellite-based precipitation data. Enabling Learning in the Classroom with GLOBE GPM also partnered with the Global Learning and Observations to Benefit the Environment (GLOBE) Program to turn primary and secondary schools into citizen scientist labs. Every weekday at lunchtime, Debbie Lieberman selects a few of her fourth graders to measure the amount of precipitation collected in the class's rain gauge at Glenelg County School in Ellicott City, Maryland. "They love it and learn a lot," Lieberman said, who incorporated the GPM-GLOBE program in her lesson plan on weather. 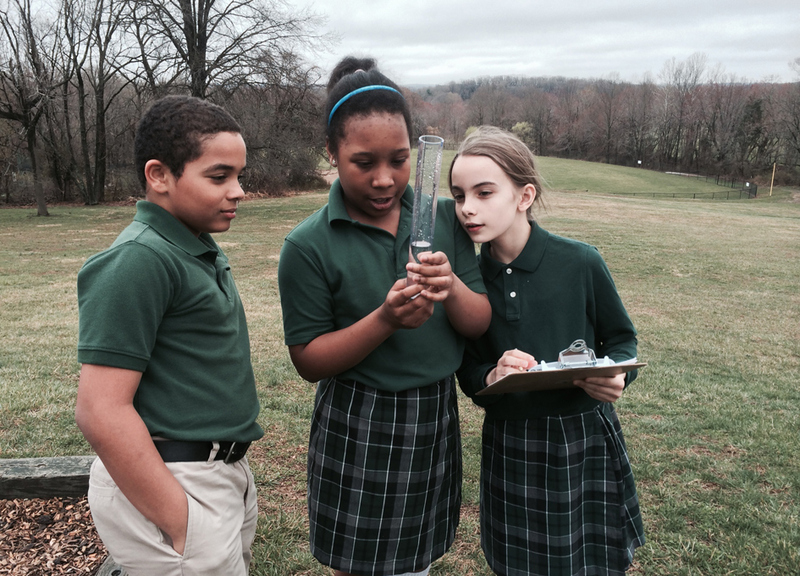 "Students have learned what precipitation occurs with particular types of clouds." The GLOBE Program is a worldwide hands-on program that supports and connects primary and secondary school teachers and students with scientists. The goal of the GPM-GLOBE campaign, which occurred from February to mid-April, was to teach students how scientists use ground measurements to validate satellite precipitation data. Students learned how to make observations using a rain gauge, analyze the data for trends, and compare it to other locations around the world and to satellite data. For the first two months of the campaign, 196 schoolsfrom 20 states plus 29 non-U.S. countries submitted precipitation data. "The purpose of the GLOBE data is to educate students about precipitation science and the scientific process," said Kristen Weaver, education specialist and coordinator for the campaign for GPM at NASA's Goddard Space Flight Center in Greenbelt, Maryland. The GPM team offered webinars for teachers explaining the importance of ground validation. GPM scientists wrote blog post about why precipitation needs to be measured, how to measure snowfall from space and how landslides occur. "It's been a really great connection from the classroom to what's happening outside," said Lieberman.